Delight your loved ones with this Cherished 1 Kg. 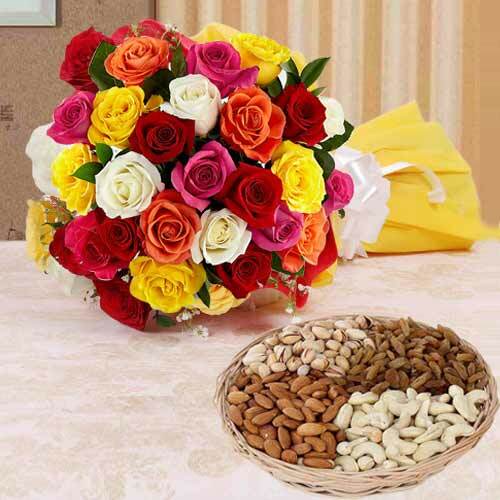 Dry Fruits with 2 Dozen Multicolored Roses and make them realize how special they mean to you. Almonds, Pistachios, Raisins, Cashews and Walnuts are the ingredients of this adorable Hamper.